The CFA certification program is globally recognized in the financial asset management field. If you are considering a career in asset management, you will want to enroll in a CFA review course during the spring semester. 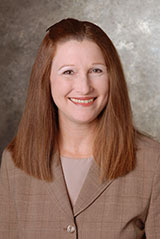 The Cox School of Business’ connection with the Dallas/Fort Worth CFA Society offers scholarships to Cox MSF students toward the Level I examination. Access SEC filings current and historical, the Worldscope database, key ratios, LIBOR, and currency exchange rates. View real-time global financial market data, such as, mergers and acquisitions deals, estimates, company ownership data, and private equity/venture capital data. This database also contains equity screening tools. Find a wide variety of information on various content areas worldwide - corporate bonds, mortgage-backed securities, preferreds, equities, commodities, futures, options & spot rates, world financial markets, economic indices and currencies. An overview workshop (see link on left) is suggested before undertaking major use of the terminal. CERTIFICATION: Go to <BMC> on the terminal. Set up your personal login. Watch the videos and answer the questions. Once you have completed all four modules (Economic Indicators, Currencies, Fixed Income, and Equities), you will receive a certificate of completion. 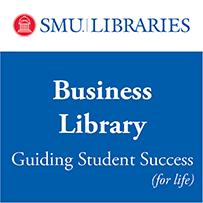 A handout explaining the process is available from the Business Library. CERTIFICATION: User guides and exams provided for four basic areas that must be passed first. Using advanced features such as portfolios and attribution are covered via live session, videos, and user guides with exams for six areas. From the left-side menu, select Training, then Certification.